How do you turn on the taps of innovation and deliver a subject that will inspire your students? In Product Management, Bachelor of Commerce students are not just told why processes are developed, but also have real-life industry experts stepping in to show them the ropes and provide invaluable insight and mentoring. 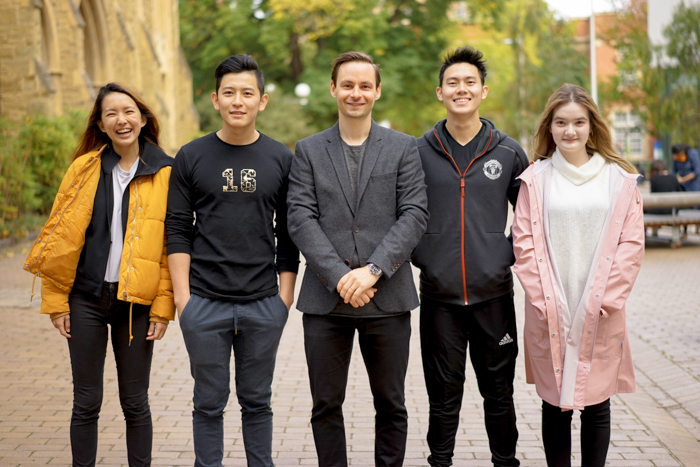 When Dr Ilkka Ojansivu was asked to coordinate the subject, Product Management, at the Faculty of Business and Economics, he decided that it was time for a subject that drives innovation to take on an innovative teaching approach. In 2017, students were treated to a new way of learning through a semi-immersive method that saw heads of global design agency, Fjord, come on board to co-deliver classes. “To me, this was a way to inject a bit more fun to their learning, while delivering practical solutions,” Dr Ojansivu explained. Fjord didn’t disappoint either, sending some of their leading people onto our campus to participate in the lectures. 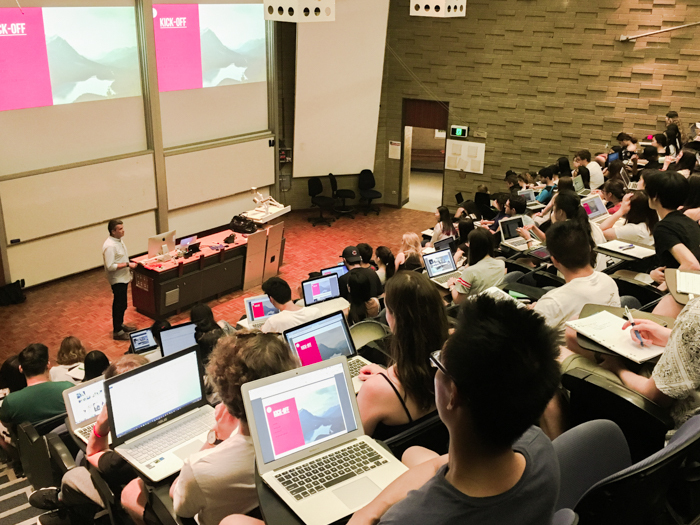 Students are provided in-depth exposure into the entire product management life cycle through a combination of a classroom perspective delivered through lectures and tutorials, and learning from Fjord through interactive Q+A sessions and hands-on activities. The subject covers topics ranging from processes, strategic planning, conceptualisation, research and development, to product launch and post-launch issues. The top five teams were invited into Fjord’s offices for a presentation and feedback session, where they had the opportunity to spend time with company executives who highlighted their strengths and weaknesses, allowing the students to gain valuable input into areas for improvement, and generously given tips for taking their products to market. One such team comprised of students, Linda Cai, Joanne Lee, Russell Ng and William Wong, who came up with the idea of ‘Checkmate’, when upon reviewing current real estate services, realised that most focused mainly on solving individual ‘pain points’ for international students, namely: efficient rental services, locating a home-sharing option, finding suitable flatmates and property maintenance. There didn’t appear to be a service that covered the intersection of all four points, showing a potential gap in the housing market for such a service. ‘Checkmate’, described simply, is a search platform with a built-in profile interface for user interactions and managing service requests, allowing users to effectively tap into one or all of these main four points of locating the right housing. The practical, real-life approach motivated the students, who quickly realised what it meant to take their work outside of the classroom, appreciating the importance of being able to fine-tune their skills. “Today’s world is dynamic and consumer needs are complex and continuously changing,” Sarah Sadiq, another subject tutor, added. She also stressed the importance of acknowledging that in today’s world, a large portion of sustainable advantage is derived from ‘service design’. She is confident that learning from both world-class academics and directly from industry leaders, and encouraging them to think beyond physical products, will only further broaden the skills of students. "When our Commerce students graduate, we want them to have a strong sense of industry – both its demands, and also the fun side," Dr Ojanvisu said with a smile. "With subjects like Product Management, I think we have really achieved this." Product Management is a third-year Marketing subject. Bachelor of Commerce students are encouraged to engage with industry through in-class collaboration, clubs and societies, and the popular commerce consulting capstone subjects.